This is the last of this hot tropics print. Paired with bright neon green, perfect for summer. 50 UPF in a slinky athletic matte tricot. 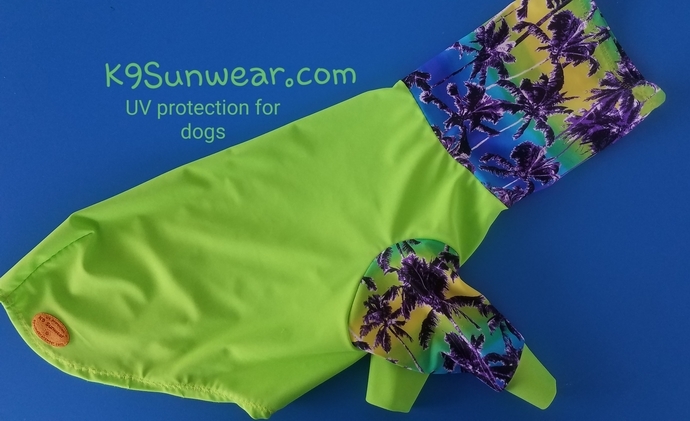 UV protection is so important for dogs with thin coats. This line was invented in 2011 for my own dog who had skin cancer. Ships at once as pictured.